SC: I want to welcome you all to another edition of Watch Out. This week I’m pleased to bring you the wonderful and multi talented Karen Mueller Bryson. Welcome to Watch Out, it is so great to have you here. I am an award-winning screenwriter, produced playwright and published novelist. 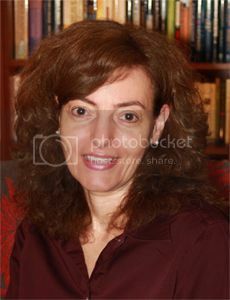 I am the Founder of Short on Time Books, fast-paced and fun novels for readers on the go. I have been writing since I learned to read and fell in love with books. I am also a university professor and national certified counselor. 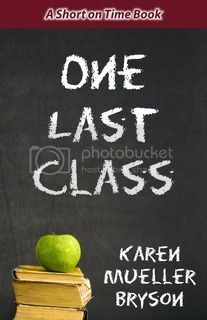 I recently released short two romantic comedies, Twyla’s Last Trip and One Last Class. In Twyla’s Last Trip, twenty eight-year old, Lucinda Starr is an uptight research psychologist, whose deadline to complete her doctoral dissertation is completely derailed by her estranged mother, Twyla Starr’s sudden death. Lucinda must take her mother’s ashes on a road trip on Route 66, in order to fulfill the requirements of her will and inherit her fortune. To make matters worse, Lucinda finds herself forced to travel across the country with her mother’s easygoing country lawyer, T.J. Yates, who drives her crazy, and his drooling bloodhound, Dakota, who Lucinda finds revolting. In One Last Class, thirty-two year old, Zak Spencer, is a washed-up teen idol, who decides to rebuild his life by returning to college in Arizona. Trouble ensues when Zak falls in love with the young professor, Amy Campbell, who teaches the one class he needs to complete his degree. People, who are not writers, seem to think all authors make a lot of money from their book sales. Unfortunately, most authors do not make a living from writing. Most of us write because we love it and we want to entertain people with our work. I am currently reading Lunatics by Dave Barry and Alan Zweibel. I’ve nearly choked several times I’ve laughed so hard. It’s completely outrageous but incredibly funny! I am the founder of my own publishing company, Short on Time Books, fast-paced and fun novels for readers on the go. I’ve been traditionally published and I also independently publish. There are pros and cons to both methods of publication. I think more traditional publishers are now requiring writers to have an established brand and history of sales before they will even consider publication. This requires a writer to self-publish first and create and name for him or herself before soliciting a traditional publishing contract. SC: How much do reviews impact the books that you choose to read? I always read reviews but I would not necessarily base a purchasing decision on those reviews. I usually go with my gut feeling about a book. I can generally sense if I will like something based on the description of the work. Because I am also a screenwriter and most of my books are based on screenplays, I write stories that are shorter and more fast-paced than many other novelists. I don’t like a lot of unnecessary description when I read (and I usually skip over it anyway) so I tend to leave it out of my writing. At just 5’6” with a slim figure, the attractive young woman, the “baby” of the roller team, looked more like a model than the typical participant of the roller derby. Cindy didn’t have the tough appearance that many of her colleagues possessed but little did her opponents know she had a fighting spirit that would eventually make her a roller derby star….At the time, the Roller Games were the biggest indoor spectator sport in the country. Like teen idols, the skaters were often mobbed by fans and received hundreds of fan letters each week. But it was not without its controversy. With its banked tracks and high injury rate, many people claimed the sport was too rough for women. Many skaters had a history of broken limbs and fractured ribs but that didn’t deter Cindy McCoy. The young rookie gave everything she had to the sport she loved. While other young women her age were shopping or worrying about their next date, Cindy was busy training to become a skating legend. It’s great to meet you, Karen. I can’t think of anything worse than a drooling bloodhound on a road trip! Karen, Your books sound like terrific reads. I especially like the idea of a road trip cross country with that company. Karen, thank you again for being my guest on Watch Out. I was thrilled to get the chance to interview, you. Thank you so much for interviewing me! I appreciate it!